Home/Nutrition Network/Ask Prof Noakes/Children on the LCHF Diet: Is my child eating enough? Following the last episode of the Ask Prof Noakes Podcast where we discussed feeding your toddler a LCHF diet, we have another question related to children today. This one comes in from a mother who is concerned that her child is not eating enough on the LCHF diet. She says she has taken a slightly different approach to food with her last born, an 18 month old daughter. She says what she’ll do is she’ll let the child eat and when the child says she’s had enough she lets her be – even though as a mother she feels the little one has not had enough. She also knows though that when the child is hungry they will eat. She wants to know how does she know that the child is getting enough of the right stuff in her? And also Prof, as you have mentioned on the podcast before, I think as adults we battle with this: when to know when is enough, when to switch off and know you have had enough and you’re not having any more. Is this “switch” something we are born with or is it something we develop over time? Prof Tim Noakes: Oh we have to be born with it. Because those “controls” exist in every single living creature, so why would humans be any different? We forget our animal origins, we share genes with chimpanzee’s. Chimpanzees don’t tell their children “oh, you haven’t eaten enough, you need to eat more”. They just allow the children to eat as much as they want. That’s how they grow. It’s because we think we can think these things out, and we can’t. 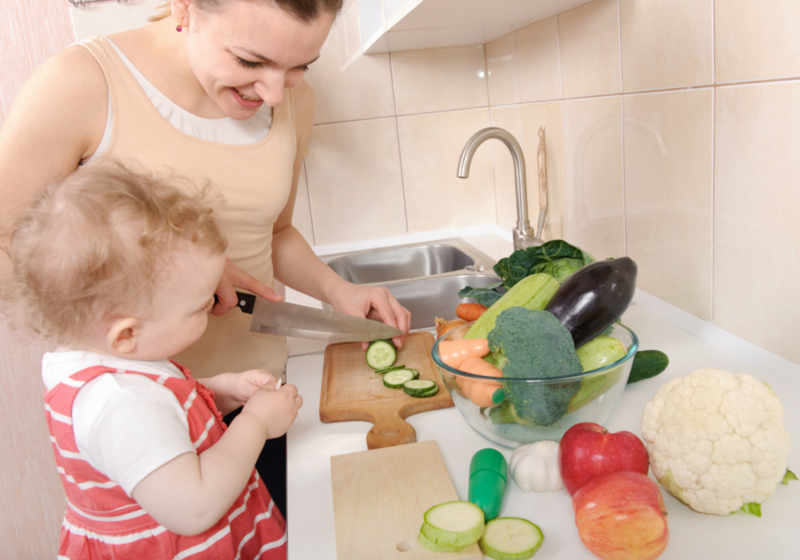 When has your child had enough on the LCHF diet? I would be very happy that the child learnt to eat to hunger. You see, what happens when you eat carbohydrates, you over consume calories and you just turn it to fat. And then you cause all sorts of other damage to the body. So, obviously she needs to weigh the child and make sure that she is gaining and growing correctly because there could be something else wrong, some other abnormality that can cause one to stop eating. But if you are biologically normal, you just eat to hunger and that child will grow normally. In other words we have been doing this for all the millions of years, that is how we have eaten. Just because we happen to think we are the cleverest mammals – we have to think it out – that is nonsense. This is a subconscious controller that will tell you how much you need to eat. And again, no human can ever match accurately what the need to eat is. You can’t measure it with the degree of accuracy that the brain can. For a person to keep their weight stable day in and day out, there is no human who could do that if they are being told “you need to eat so many calories today and must do so much exercise”. The brain is SO clever; it absolutely knows what you need to eat to maintain your weight. Depending on how much physical activity you’re doing.